She is the indwelling, pure luminosity of my mind, freed from obscuration. She is part of me; she is not separate from me. When I forget this, I despair, because I don’t find Her when I look outside of myself. She is within me, and within you. 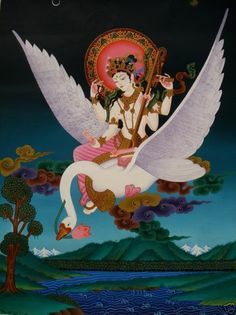 She is perfection of wisdom, the mother of all Buddhas. I salute Her nature within you, as you salute Her nature within me!